The seventh day of the 2015 Jones Cup was once again full of exciting moments. The Philippines opened the day with a pulsating comeback overtime win over New Zealand, which was followed by an unexpected triumph by erstwile winless Japan over East Asian foe Korea. The USA gained momentum by tripping Taiwan White, while Taiwan Blue fell short against mighty Iran. 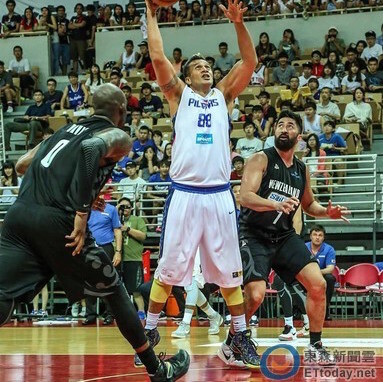 Asi Taulava goes up strong for Gilas! Here are the complete results from Day Seven! The Philippines needed a victory Friday in order to keep its title hopes alive, and it got one in dramatic fashion by outlasting New Zealand 92-88 in a thrilling overtime affair. Gilas Pilipinas trailed by seven entering the fourth quarter as Bryan Davis dominated to the tune of 31 points and 13 rebounds for the Wellington Saints, but 38-year-old DonDon Hontiveros and 42-year-old Asi Taulava helped the Philippines claw its way back into the game. 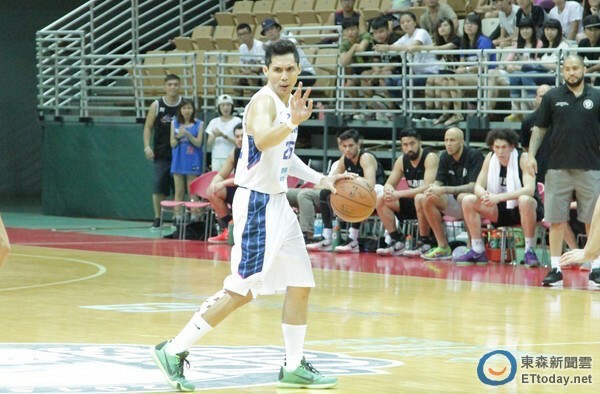 Hontiveros was the difference in overtime as he scored 11 of his 21 points by virtue of a trio of three-point shots. The Filipino squad moved to 4-2 with the win, while New Zealand fell to 2-4. Bryan Davis was unstoppable in regulation for New Zealand. DonDon Hontiveros waxed hot for the Filipinos. South Korea entered Friday with its hopes of repeating as William Jones Cup champions hanging by a thread, and that thread was officially cut as it shockingly fell to previously winless Japan. Joji Takeuchi has been among the lone bright spots for Japan, and he was once again excellent as he led his team with 18 points. It was a huge performance since both teams struggled from the field as Japan shot 39 percent, and South Korea shot a miserable 26 percent. Lee Jong-Hyun was the lone bright spot for Korea with 19 points, 8 rebounds, and 3 blocks. Team USA has had an up-and-down tourney so far, but they were still able to defeat Taiwan White. The United States was dominant from close range as it hit 54 percent of its two-point attempts and an impressive 26 of 30 free throws. Former PBA imports Calvin Warner and Marquin Chandler led the way with 32 and 21 points respectively. 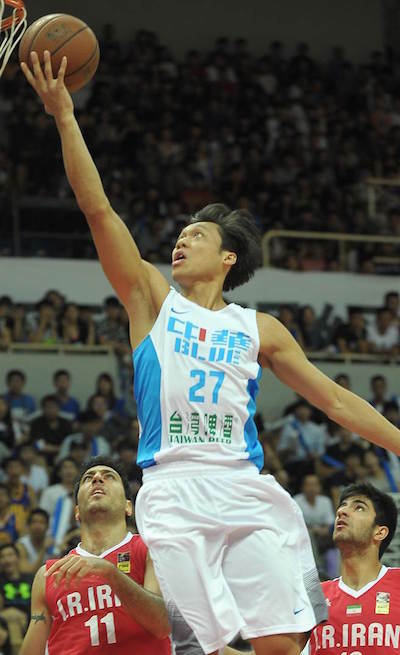 Taiwan White received a good showing from Lee Chi-Wei Lee as he dropped 25 points off the bench, but no other player scored more than 10. Lu Chi-Min pulls up over Cory Bradford. Iran and Taiwan Blue were the only one-loss teams remaining ahead of their hugely important clashy, and nows Iran stands alone in that regard by virtue of its 69-63 win. Taiwan Blue held a one-point advantage at halftime, but it was unable to handle the Iranians' strong post presence in the second half. Three players scored 11 points for Iran in the game, including former NBA center Hamed Haddadi, who also secured 12 rebounds. The win was significant for Iran since it preserved its first-place positioning, although it did not lock up the gold medal since a clash with Russia looms Saturday. Russia has two losses, but a win over Iran would give it the tiebreaker, assuming it manages to beat Japan in its final game. Iran's win took one more challenger out of the equation, but it didn't end the 2015 William Jones Cup by a long shot. 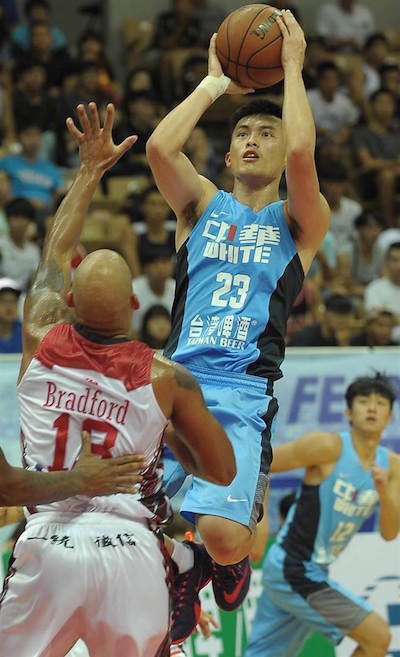 Liu Cheng paced the losing side with a dozen points, while Quincy Davis and Lu Cheng-Ju each dropped 11 markers. Lin Chih-Chieh attacks the basket against the tall trees of Iran. 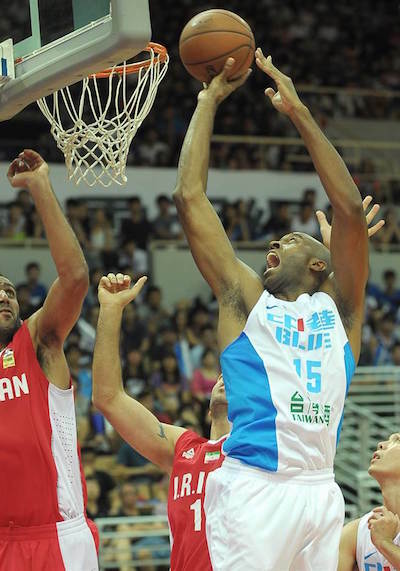 Quincy Davis gets an inside stab for Taiwan Blue. FOR MORE JONES CUP ACTION, CHECK OUT OUR JONES CUP ROUNDUPS !